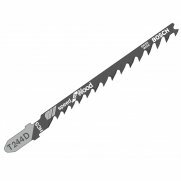 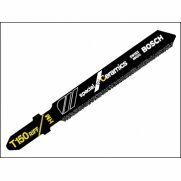 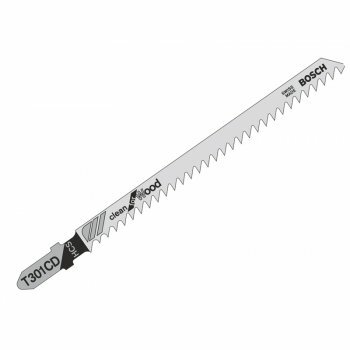 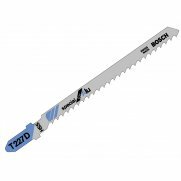 The Bosch T301CD Jigsaw Blade is suitable for cutting wood.Specifications :Tooth design : Ground Teeth, Taper Ground.Material : HCS.Length : 117 mm.Tooth spacing : 3 mm.Areas of application : Softwood ( 10 - 65 mm ). 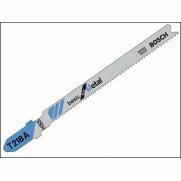 Chipboard. 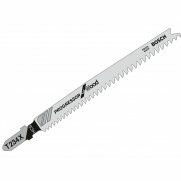 Wood Core Plywood. 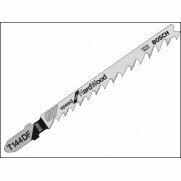 Fibre Board (10 - 65 mm).Suitable for : AEG, Atlas Copco, Bosch, Casals, DEWALT, Elu, Festo, Flex, Hilti, Hitachi, Kango, Kress, Mafell, Makita, Metabo, Milwaukee, Perles, Skil.Pack of 5 blades.